Victor Mancini, a medical-school dropout, is an antihero for our deranged times. Needing to pay elder care for his mother. Victor has devised an ingenious scam: he pretends to choke on pieces of food while dining in upscale restaurants. He then allows himself to be "saved" by fellow patrons who, feeling responsible for Victor's life, go on to send checks to support him. When he's not pulling this stunt, Victor cruises sexual addiction recovery workshops for action, visits his addled mom, and spends his days working at a colonial theme park. 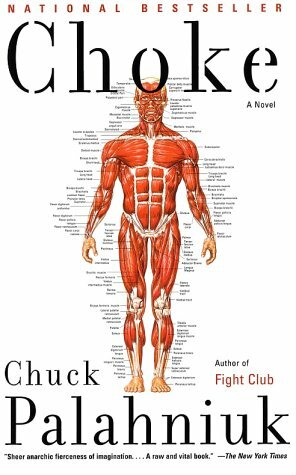 His creator, Chuck Palahniuk, is the visionary we need and the satirist we deserve.